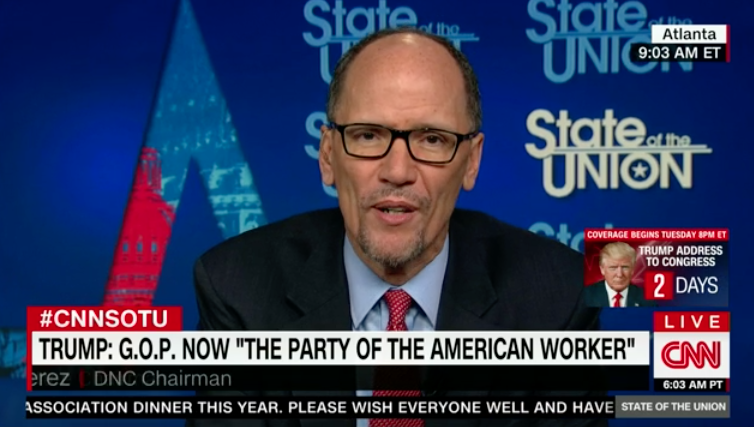 Washington (CNN)- Sen. Bernie Sanders will join new Democratic National Committee chairman Tom Perez this month on a multi-state tour aimed at mending a party fractured by 2016’s primary battle, people familiar with the plans tell CNN. The tour will begin April 17 and last roughly one week. The exact locations are still being nailed down, but the tour is expected to begin in Maine and is also likely to include stops in Florida, Arizona, Kentucky, Nevada, Nebraska and Utah. Sanders’ support carries major weight for Perez: the Vermont senator publicly backed Minnesota Rep. Keith Ellison over Perez in February’s vote for a new DNC chair. That contest was viewed as a proxy battle between the liberal and centrist wings of the party representing Sanders and Hillary Clinton, respectively. DNC voting members told CNN they received personal calls from Sanders on Ellison’s behalf in the lead-up to the vote. The two will cast the tour as a unity effort aimed at turning Democratic efforts away from intra-party squabbles and toward resisting President Donald Trump and congressional Republicans.